Wow !! 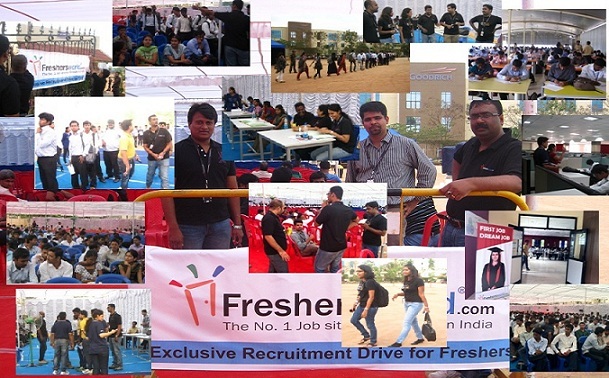 … One more feather in the cap for freshersworld.com. We have just completed one of our Best recruitment drives ever for freshers – pooled campus drive for Goodrich Aerospace in Bangalore. Around 1500 + candidates turned up from 2012 Mechanical & Aerospace Engg branches from premium colleges across India. Some of the candidates had called and expressed their inability to attend since this was the exam time and hence they couldn’t travel from far off cities. Still it was surprising to see so many turned up from the total list of 2200+ call letters sent to eligible / shortlisted candidates across India. I could even spot candidates who traveled all the way from Delhi. The Challenge: We knew it was a challenge when the client gave the requirements for conducting a pooled campus drive as it was only for 2012 Mechanical & Aerospace branches. We knew that lots of students from premier college would have already got placed and since the exams are happening, they wouldn’t travel. Guess our online reach, our TPO relations and marketing efforts proved it again and we had a shocking turnout for such a niche requirement. Why this drive would stand out from all other drives that we had in the past is by its organizing. The venue and premises were well organized and the HR team from client showed up great enthusiasm to give an amazing experience to their future hires. There was a BIG pandal arranged outside the building to seat the students which gave all them along with their parents a cool feeling in the first place. There were enough registration counters to register each candidate, enough volunteers to guide candidates and extra security personnel to manage the crowd. I was surprised to see tea, coffee and juice being provided to candidates and their accompanying parents. There was a light background music played to keep the candidates cool before they shed their exam anxiety. ‘Some of the parents expressed their gratitude to us on arranging such good placement drive and didn’t hide some of their not so good past experiences. I could see in their eyes a longing to have their dear ones placed in this company.“ I could gasp, a company brand is not just in words but in actions. Our Marketing-Operations Manager Vineel led from the front with his mike announcements and guiding candidates form each branches to register and move towards the written test centre. The tests were conducted in 4 different batches and the final selection results are still awaited. Hope a good amount of bright students would get an opportunity to work with such a core engg company which otherwise wouldn’t have been possible thru the typical campus recruitment route. 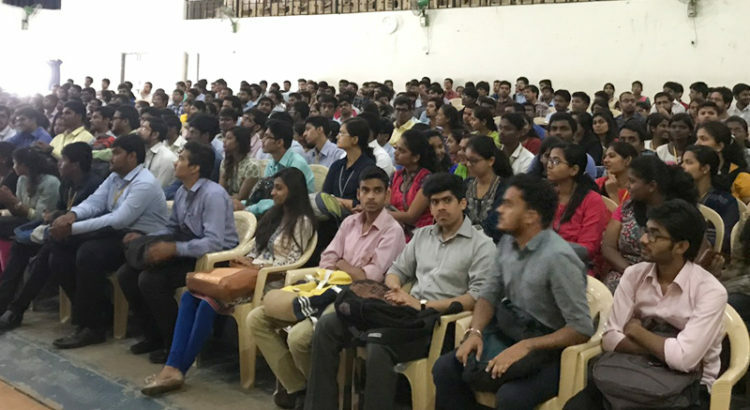 The HR team and Manager were really gratified with this first of their experience and was all in praise for arranging so many eligible students at one place on a single day which wouldn’t been possible even if they had traveled to 25 such colleges. While I was driving back to my office, I decided to write this blog and let others know about this success story. The feeling was amazing. We could give a real good experience of online campus recruitment for candidates and corporates in one go. All it took was 2.5 weeks from meeting the client till closing all the positions. Thanks to the whole team and a BIG party is waiting. Looking forward to lots of such parties ahead. ! !